Often times we forget to be grateful for what we’ve got until it’s gone, but being grateful for what we’ve got can only lead to more! The first step to keeping something (or someone) in your life is gratitude. 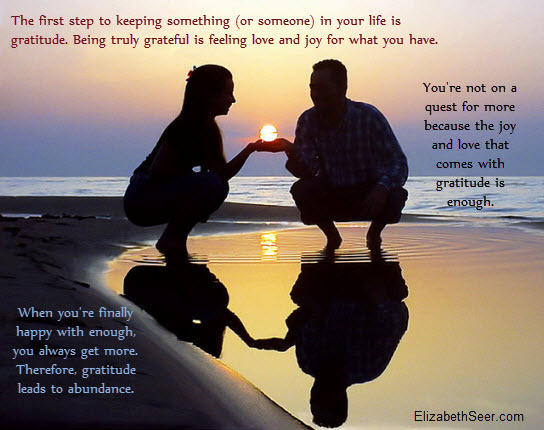 Being truly grateful is feeling love and joy for what you have.